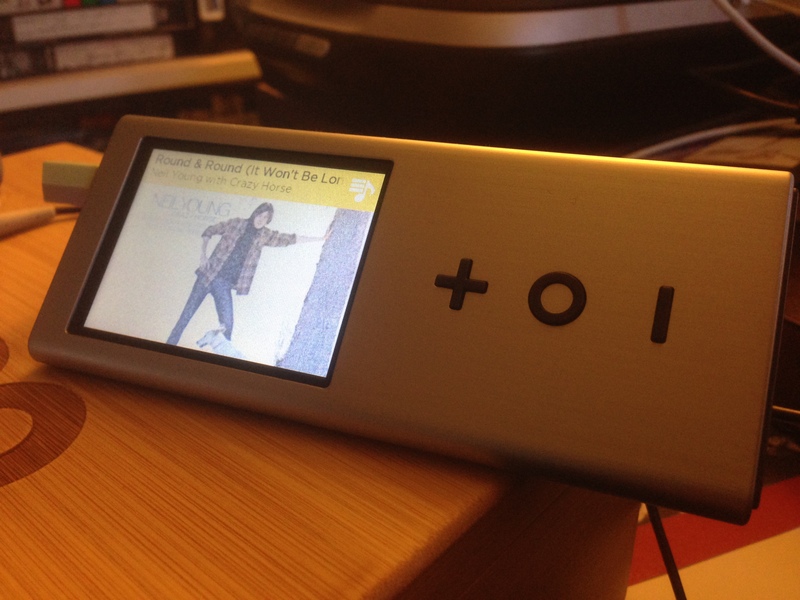 It’s been a quite some time since I wrote about the Pono Player and high-def audio. Given that Pono founder – and music legend – Neil Young made news a week-or-so ago when he yanked his music from all the streaming services due to his dismay over their poor audio quality, I thought it might be worthwhile to discuss it again. First, as I think I wrote in my initial take on the device, I am not an audiophile. I appreciate good sound, but own mid-tier most things; and am quite content listening to music via my THX-certified Logitech desktop computer speakers here in my home office. They sound good, to my ears, though never quite as good as when I have the Pono Player plugged into them. Our downstairs sound system, a 15-year-old (or so) Phillips mini-system, does a good job, too, though never as good as when I have the Pono Player plugged into it. And the sound system in my Honda Civic is, I think, quite good – though never as good as when I have the Pono Player plugged into the aux jack. The last halves of those last three sentences say it all. I have decent headphones, as well, that I occasionally make use of – but I have a love/hate affair with headphones as a whole, so listen with them less often. Sometimes, at work, I pull them out and plug them into my Pono Player – and the sound is much, much better than what I experienced on my iPhone 5. Right now, I’m listening to Elite Hotel by Emmylou Harris – 24-bit, 192kHz – in my home office via my THX-certified Logitech speakers. The best way I can describe the difference between it – or any well-mastered high-def recording – and, say, an MP3, ACC, OGG or whatever format the streaming services use – can be summed up in one word: space. The instruments and vocals aren’t smushed together into an unholy alliance, but instead possess distinct tonalities that one can easily distinguish. The subtle shadings of Emmy’s vocal delivery in, for example, “Here, There and Everywhere” are audible. It’s akin to listening in the same room as one’s speakers vs. listening to them from another room. You can still make out the melody, instruments and vocals in the latter instance, but the sound is nowhere near as clear as the former. Where the Pono Player shines, however, is in its DAC, which makes everything it plays sound better. First Aid Kit’s 16-bit, 44.1kHZ rendition of Simon & Garfunkel’s “America,” for instance, sounds heavenly. (It’s available in the Pono Music Store, I should mention.) Their harmonies aren’t quite as lush as they are on the songs found on the 24-bit/44.1kHz Stay Gold, but the difference isn’t as stark as between MP3 (or equivalent) and CD-quality or higher. All that said, do I recommend the Pono Player? For a casual music fan, no. But for anyone who loves music, still buys CDs and rips them into lossless FLAC or ALAC files, yes. Even if you never buy a high-resolution song or album, you’ll appreciate the sonic difference. And if you do take the plunge, whether at the Pono Music Store or any of its competitors, such as HDTracks, you’ll appreciate the difference all the more. I can’t imagine not having mine. I hesitate to say that the Pono Player makes one feel the music, but it does. It’s not the live experience distilled into a portable container, mind you, but – at its best – it’s the studio experience. When listening to Everybody Knows This Is Nowhere by Neil Young and Crazy Horse, for example, you feel like you’re in the room with them.